In his third Warlords of Draenor diary entry, Alan Bell delves into some gripes and annoyances with the new expansion. Now that the dust has settled, and what was shiny and new is now just shiny, it seems appropriate to step back and take a look at some of the aspects of Blizzard’s latest box of tricks that don’t work quite as well as would be ideal. Let’s start with mounts. 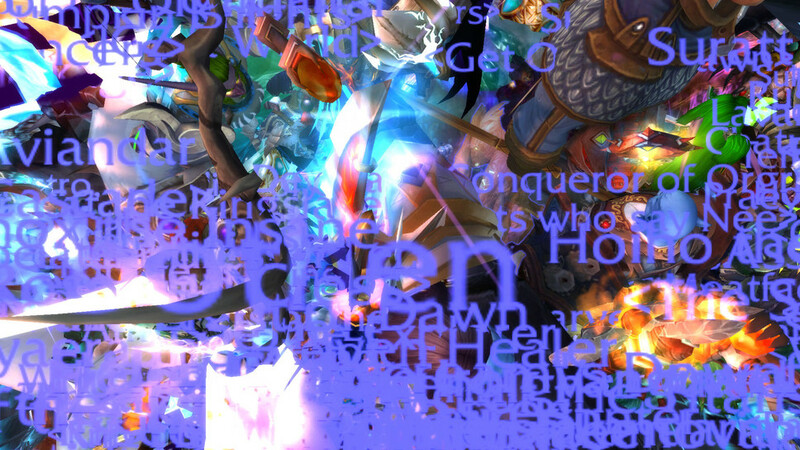 Specifically, the fact that, in Draenor, you can’t fly. While I believe that this is, for the most part, brilliant, in that it forces you to explore and learn the maps and their eccentricities, it also has a sizeable downside. The level design technology still employed by Blizzard (and, perhaps, the actual design aspects themselves) are super crude. Where, in the past, you could simply fly to a point of interest, now you have to find your way through large vines, over rocks, or up a cliff face. 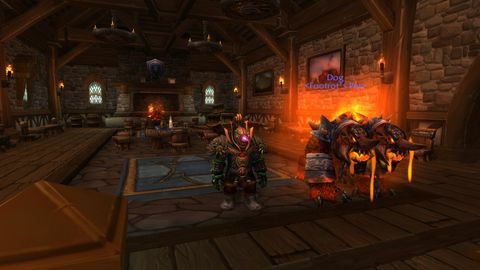 In some games, like Uncharted for example, this is fun; in World of Warcraft, it’s a chore. It’s often impossible to tell what you’re supposed to be able to climb on - and what you’re not - and figuring out how to get places becomes less about observation and more about blindly slamming head-first into things, hoping you can figure it out before resorting to YouTube for a demonstration of the correct technique. Maxing fishing is supposed to be a sign of determination and gritting your teeth - not something achieved simply by logging in every day for a week. 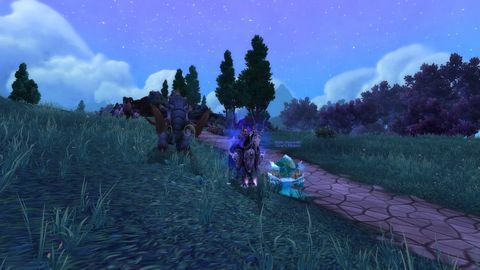 The absence of flight and the focus on exploration (there are some 200 or more treasures hidden around Draenor, waiting to be found - the majority of which would be simple to get to with a flying mount) puts these aspects of the game under the spotlight like never before and what was a minor annoyance in previous expansion now feels like a serious frustration as a result - on occasion, at least. Another odd quirk is that a feature common to previous iterations of the game - dungeon quests - has been removed. It had become an expectation that, when entering a dungeon, you’d be presented with quests you could complete in that dungeon and which would likely earn you some level of reward - typically loot that was almost always an upgrade while leveling. For reasons I’ve not seen explained, dungeons are no longer a good place to pick up bonus bits and pieces by way of the odd quest or two. It’s strange, and definitely disappointing. A recent update increased the number of skill-up points you get for completing the fishing daily, too. Some might suggest that this helps speed up one of the hardest level-grinds in the game, I'd contend it all but eliminates the point of fishing entirely. It’s supposed to be hard. It always has been. Maxing fishing is supposed to be a sign of determination and gritting your teeth - not something achieved simply by logging in every day for a week. Then there’s the other professions. The dust hasn’t fully settled yet so the impact of the changes - and the introduction of the Garrison - aren’t completely clear, but so far most feel like a waste of time. They’re either hard to level or pointless, given you can get most of what you want directly from your Garrison where you can have an enchanter, for example, who can both disenchant and enchant your gear. People who concentrated on gathering skills must be in a world of hurt financially now, with a combination of anyone-can-loot resource nodes in Garrisons and the shared auction house, meaning base-level resources like this are largely worthless. Acquiring the necessary bind-on-pickup mats to craft anything decent, meanwhile, takes many days, and the Primal Spirits you might be “lucky” enough to find on your adventures are basically worthless. Still, despite having enough gripes to fill a blog post, these things aren’t too bad to deal with and even those that are more than a minor annoyance are easily offset by the knowledge that Blizzard will fix them soon enough. 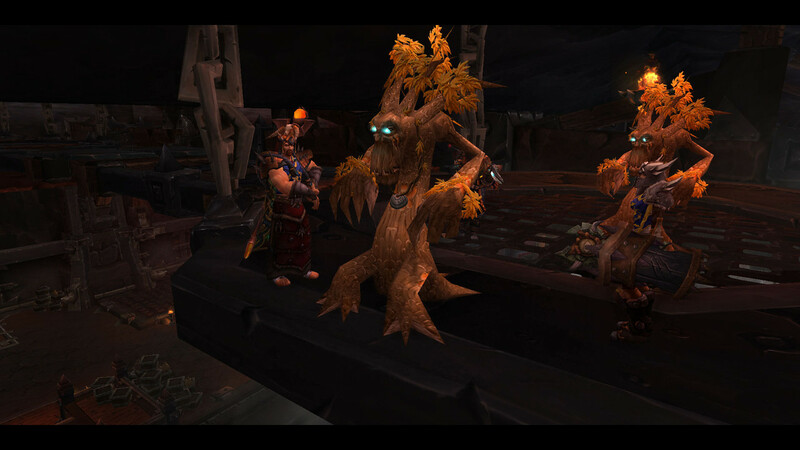 The hardest to fix will likely prove to be the exploration problems and, come patch 6.2 or 6.3, that will probably go away with the almost certain to come reinstatement of flying. While I still haven’t locked in my score for the review proper, I don’t expect these minor negatives to bear too heavily on the number I assign. Warlords has been incredibly compelling so far and I see no sign of waning interest yet. Bring on the raids already.